Właśnie przesłaliśmy indeks zgonów z parafii Będzin z lat 1877-1883. Dalej opracowujemy zgony z Będzina a także urodzenia ze Słupii pod Kępnem. Właśnie przeglądam indeksy z Żarek. Pojawia się nazwisko Dłubak, prawdopodobnie jeden z wariantów nazwiska Dłubała. 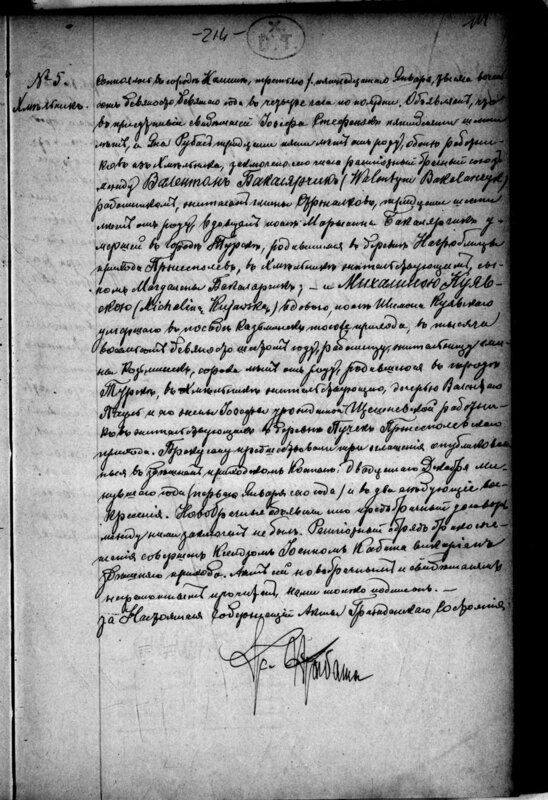 I am searching for information on my great-grand-mother side and I would like to get some help to find some documents related to her. Her name was Franciszka Bakalarczyk, born on 8th October 1899 in Chmielnik (Kalisz) from Walenty Bakalarczyk and Michalina Pól, She marry Stanislas Filak in Blachownia on 19th February in Blachownia. I am wondering if acts from Kalisz exist online or not to find her birth certificate and start to find information on her parents and grand-parents. My name is Jean-Michel FILAK and I live in France. I will try to help you but can you please post her birth record and marriage record if you have got them . It would be much easier. The mariage certificate I got it in digital, a member of genealodzy.czestochowa.pl Jerzy Rykała forward it to me by mail. I would like to find information on Franciszka parents and grand-parents. The only thing is that I don't know where to search. But with the link you sent me, I may probably find the mariage certificate of Franciszka parents and then start to go forward. Many thanks both for your reply and help. Much appreciated. Many thanks Barbara for your reply. As you can see Szymon sent the link for the birth certificate. It is in Russian. I will try to investigate. Walenty Bakalarczyk i Michalina Kujawska. They got married in 1899 and for both of them it was second marriage. It says that Walenty was a son of Magdalena Bakalarczyk, no father mentioned.That means Magdalena had him as a single woman.He was 36 years old. Michalina's parents were Walenty Pól i Józefa Szcześniewska( I think).She was 40 years old. You can find that record underneath. Ostatnia1 rok 11 miesiąc temu edycja: pattern481 (Barbara Bożek-Pattern) od. This is really great thank you so much for your help. It is a very good step for me as I can start to investigate further with this names. Although I know that I may not be able to go far away as nothing seems to be available. And on Bakalarczyk side I am afraid it will just stop the branch as we don't know anything about the father of Walenty. But at least it gives me ideas of the place they were coming from and some information on them. No problem,it was pleasure to help you. There is a link where you can search for Franciszka's siblings and just hope you can find more informations. 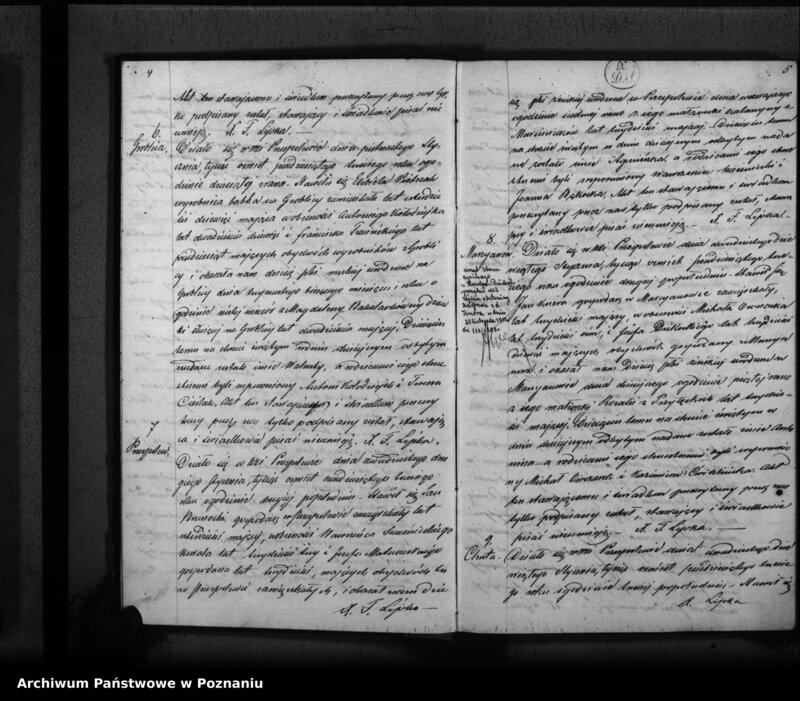 I found an act of birth of a Walenty Bakalarczyk from a single mum Magdalena Bakalarczyk in 1863 which correspond to the date of birth of my Walenty, in the parish of Przespolew Pański which belong to Kalisz. As it is in polish, is it mentioned anything about Walenty inside? Could it be the same person or there are too many doubts on it? 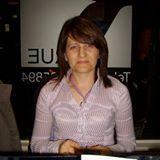 She was 20 years old and was working as a servant in Groblica. Nothing about his father. Now you have to explore Her past! After going through all the documents, I possibly found the sister of Franciszka Bakalarczyk but I am not sure at all. I sent you a copy of the birth in 1904. The problem is that the act is not available, I cannot find the act number 453, to see if there is a Sophia Bakalarczyk as mentioned here. First is it really the name Bakalarczyk and is it really birth register and not death? Second, are there missing pages in the scans or I just didn't see the original act in it. Many thanks if there is any help you can provide. Ostatnia9 miesiąc 3 tygodni temu edycja: jmfilak (Jan Filak) od. That scan is under the number of 120jpg. It is a birth record. The baby's name is Zofia and her parents were Antoni Bakalarski and Marianna Tyrkowska. It says Bakalarski but it is common that surnames can be changed a bit. Have you got any information about Maciej Bakalarczyk and his wife Apolonia Krzak? Thank you for your response. So Zofia is not the sister of Franciszka. Franciszka parents are Walenty Bakalarczyk and Michalina Pol. It may be a cousin. No I don't have any information on Maciej and Apolonia. Who are they? My sister-in-law asked me to search for her family. Her grandmother came from Praszka parish and her 3 x great-grandmother Antonina Bakalarczyk married Józef Zając in 1838. Antonina's parents were Maciej Bakalarczyk and Apolonia Krzak. Czas generowania strony: 0.780 s.